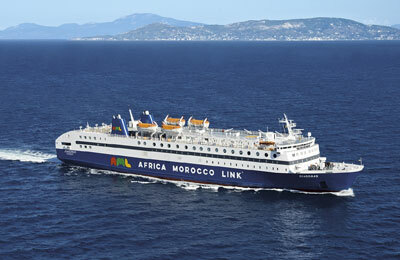 You can use AFerry to book an AML (Africa Morocco Link) ferry to Spain and Morocco. AML is a joint venture between the bank of BMCE and the Greek shipping group of Attica. AFerry always has cheap prices for AML and the latest special offers. You can use AFerry to book AML Ferries to Algeciras and Tanger Med. See below for the latest AML Ferries prices and sailing times. Click on your ferry route for a detailed timetable. 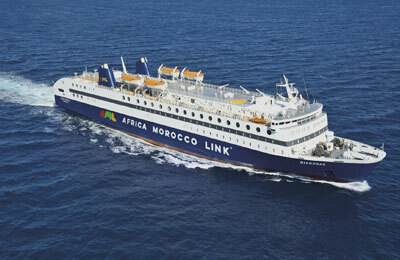 The Africa Morocco Link fleet consists of two cruise vessels - the Diagoras and the El. Venizelos. Both ships can reach speeds in excess of 20 knots. On board, you'll find bars serving a selection of hot and cold beverages, freshly ground coffee and delicious snacks. If you would like something more substantial, visit the self-service restaurant and choose from freshly cooked meals, crisp salads and mouth-watering desserts. Onboard shopping is one of the highlights when travelling with AML. With a wide range of items available including clothing, jewellery, cosmetics, Greek delicacies and Swiss chocolates, it won't be hard to enjoy some retail therapy during your journey. 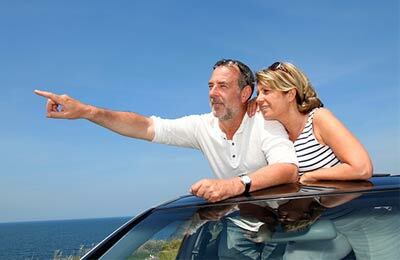 Whether you book AML Ferries to Algeciras or Tanger Med, you will know that you got a great deal from AFerry. How long before departure should I arrive for AML Ferries?